Posted on December 6, 2014	by A.D.S. Welcome – and thanks for reading! Without further ado, here is my annual round up my favourite albums of 2014… it hasn’t been a bad year for music at all. The death of the album has definitely been exaggerated. All albums I have personally written a review for have a clickable link to my thoughts about the album. In the unlikely event that I manage to get round to reviewing the others, I will update the list with the links. So, no room for the worthy releases by Foo Fighters, Damien Rice, Pink Floyd, Neil Young, Jenny Lewis, Royal Blood, Tori Amos, Live, Henry Priestman and Robert Plant, who all just missed out on the Top 50. If I had to pick one disappointment, it would be Embrace’s effort. I don’t see the point of making an album where you give up your own sound just to sound like every other generic contemporary ‘indie’ band, personally. Once again, thanks for reading and here’s to a great year of music in 2015. Best wishes to you all! Andy Sweeney, 6th December, 2014. Posted on October 3, 2014	by A.D.S. Full disclosure here: I’m writing this review because of my interest in The Electric Light Orchestra and have to admit that I feel utterly indifferent to Olivia Newton-John’s music; it is not something that has ever interested nor offended me (although I do think “Physical” is rather awful). Honestly, I am not writing these words to upset fans of the film or of Olivia, Cliff or anyone else to do with the project. 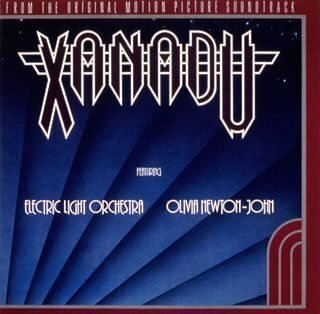 Sadly, I do think it’s a shame that Jeff Lynne and the Electric Light Orchestra had anything to do with the 1980 film “Xanadu”, such was the negative critical response. It was named amongst the worst films of the year by critics and was even an inspiration for the Golden Raspberry Awards, formed specifically to ‘honour’ bad motion pictures. However, the silver lining to this cloud is the handful of excellent Lynne-penned songs which appear in the film and, subsequently, on the soundtrack. Being completely objective, I can’t say that there is much on side one of the album to interest me and the fact that ELO share a soundtrack with Cliff Richard is one that causes an uncomfortable shifting in my seat. Unfortunately, these songs comprise half of the record, so it would be wrong to ignore them and just pretend they weren’t there… as much as I would like to. Each of the five songs on the first half of the album are written by John Farrar, a successful songwriter and long-time collaborator with Olivia Newton-John (he wrote “Have You Never Been Mellow”, as well as “Hopelessly Devoted To You” and “You’re The One That I Want” on the “Grease” soundtrack), so his track record is impressive. Indeed, opening song “Magic” was a number one single in the USA, so he worked his magic (sorry) on this soundtrack too, but I’m going to have to disagree with millions of record buying Americans, because I find it inoffensive, but really rather bland. The duet with Cliff Richard, “Suddenly”, is a well-written, melodic song with a chorus that will have pleased many ears at the time, but it’s way too slushy and sugary for my taste. “Dancin’” features San Francisco rock band The Tubes and is a rather strange track that splices a peppy Andrews Sisters-type vocal harmony song with a rather straight forward (and very eighties-sounding) rock track. Oddly enough, it’s so strange that it’s probably my favourite out of the first five tracks. Sadly, with the ballad “Suspended In Time”, we’re back to pop so sugary, they had to put warnings for diabetics on the front cover and the big band jazz of “Whenever You’re Away From Me”, performed with Gene Kelly, is pleasant but way too light, lacking the kind of punch the song and style calls for. On the whole, Farrar’s side isn’t absolutely terrible, but I have to admit to being relieved when it is over and very rarely revisit those five songs. So, onto side two of the album, which is completely comprised of Jeff Lynne compositions. If you’re anything like me, these five songs will be the only reason to consider adding it to your collection. Luckily, there are just enough Jeff Lynne gems on offer here to make the whole soundtrack a worthwhile purchase. “I’m Alive” is the first track on the ELO portion of the album and is a cracker just for the melody line alone, never mind the sweeping Louis Clark strings and joyful, life-affirming character. The lesser of the five songs is “The Fall”, which almost sounds like a re-written “I’m Alive” but the haunting “Don’t Walk Away” sees Jeff making the very most of a classic chord progression by delivering a beautiful, emotionally effecting vocal performance. The catchy “All Over The World” has enough energy and musical nous to overcome the slightly clichéd lyrics before the album ends with Olivia Newton-John and ELO’s version of the UK number one hit, “Xanadu”. It remains Jeff Lynne’s only ever number one hit, but it’s such a beautifully written and arranged song, it’s definitely a worthy chart-topper (I do, however, prefer the slightly more unfussy Jeff Lynne version which first appeared on the box set “Flashback”, but you can’t deny Olivia’s excellent vocals on this original). The Electric Light Orchestra were down to a four-piece band at this moment in time (Jeff, Bev, Richard and Kelly) and their work for this soundtrack very much sounds like an extension of the same kind of danceable pop style that 1979’s “Discovery” was centred around, especially “All Over The World” and “I’m Alive”, whereas “Don’t Walk Away”, with those sparkling synthesisers, could easily have been an album track on their previous record. Everything on this record is good, catchy pop music, but, objectively, there isn’t a composition on this soundtrack, with the exception of “Xanadu” itself that measures up to the vast majority of songs on either “A New World Record” or “Out Of The Blue”. ELO fans will certainly want a copy of this soundtrack to complete their collection, but this is most definitely the least essential purchase out of all of their albums, especially given the fact that they don’t appear on half of it. Unless, of course, you love Olivia Newton-John or, even less likely, the film itself (which I attempted to watch once and couldn’t sit through), in which case, you probably own this already and disagree with most of what I’ve had to say. In my defence, the current score on the Internet Movie Database (imdb) for this film, according to users, is a lowly five out of ten. If you go purely by professional critics, that average drops to three and a half. It’s a cult classic, but I’m happy to not be part of that particular cult, other than enjoying Jeff Lynne’s contributions. Sorry. Posted on October 2, 2014	by A.D.S. Disco? Very. 1979 was the year when Jeff Lynne’s Electric Light Orchestra embraced the smooth, slick sounds of disco that dominated the charts at the time, making one of the most noticeable changes of direction they’d embarked on for a while. Although commercially successful (it stayed at number one in the album charts for five weeks), a large proportion of ELO fans were rather unimpressed by Jeff’s follow-up to the magnificent “Out Of The Blue” and, to many, was a step in the wrong direction. The fact that violinist Mik Kaminski and cellists Hugh McDowell and Melvyn Gale do not appear on the album (and were subsequently dismissed for being surplus to requirements after the promo videos for the album were made) is indicative that Lynne wanted to dramatically change things. Still, in terms of sales and popularity, Lynne’s band were still riding high and the collection of radio-friendly pop songs, “Discovery”, contains many tracks that would be considered stalwarts of ELO greatest hits compilations. Whether you believe that this album measures up to any of the band’s other albums made during their most commercially successful era is simply a matter of taste. The stomping disco vibes of “Shine A Little Love” provide a classy start to the album and the joyful, uplifting “Confusion” is one of the instant highlights, resplendent with dramatic kettle drum fills. The longing, tender “Need Her Love” is a rather lovely song, although I’m really not sure about the wince-inducing line “she tries to sing”, and “The Diary Of Horace Wimp” is a flamboyant slice of excellent songwriting, arguably marred by the rather excessive Vocoder use, that boasts a beautifully Beatlesque ending. “Last Train To London” is a superb song with both an irresistible bassline and an infectious chorus and is probably Jeff’s best disco-inspired composition. “Midnight Blue” is utterly gorgeous, although I’d have much preferred it with the kind of instrumentation and arrangement it would have received on, for example, “A New World Record”, rather than being so synthesiser-heavy. The high energy “On The Run”, with its bouncy, catchy melody could easily have been a single whereas “Wishing”, a perfectly likeable but ordinary offering, is probably the only track which really couldn’t have been. The album finishes with the monster hit, “Don’t Bring Me Down”, a bass-heavy track with a thumping beat and memorable chorus. From a compositional point of view, it’s a simplistic, rather formulaic track, but Jeff proves once again his knack of transforming it into something that sounds so much more accomplished. “Discovery” leaves me conflicted more than any other album in the Electric Light Orchestra catalogue. 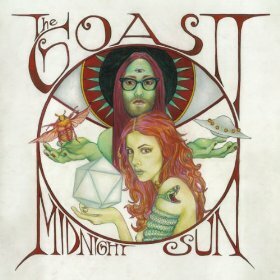 Conflicted because, although I really like and enjoy every song on the record and there are some undeniably brilliant tracks, there’s something about the whole project that doesn’t quite match up to much of Jeff’s previous work. It is a hugely commercial collection of songs and nearly every song a potential single, but if you compare it with the most ambitious and grandiose moments of “Out Of The Blue”, the polished pop sheen of “Discovery” with the contemporary soul/disco influences Jeff incorporated into the style of the music feels a little superficial, in comparison. It is, therefore, almost annoying that the songs are this good; it’s very difficult to seriously criticise a meticulously crafted, thoroughly enjoyable album where over half of the tracks were hit singles. Regardless of the obviously quality and commercial appeal of “Discovery”, it remains one of the very few ELO albums I hardly listen to. If I’m completely honest, as an entire album it leaves me a little cold and even the most emotionally engaging songs on the album (“Confusion”, “Need Her Love”, “Midnight Blue”) struggle to touch the heartstrings through the synthesisers and pop sheen. Although this is an exceedingly listenable record, this really isn’t the Electric Light Orchestra I fell in love with and, as catchy as much of this material is, it will never be one of my favourite ELO releases. A great cover of Del Shannon’s “Little Town Flirt” as a bonus track on the 2001 remastered version sweetens the deal a little, however. Posted on September 27, 2014	by A.D.S. 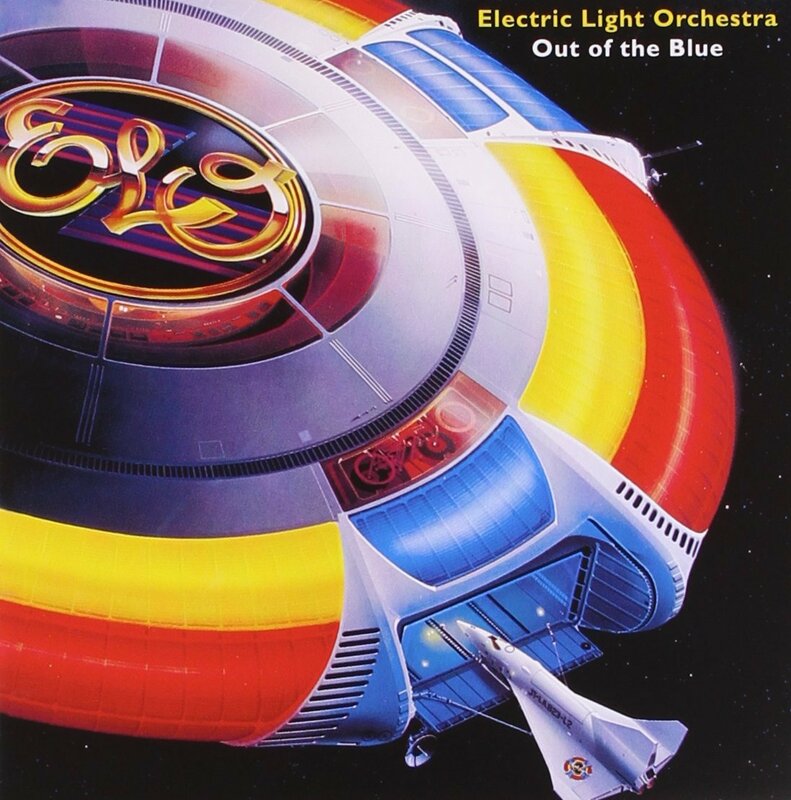 The Electric Light Orchestra’s “Out Of The Blue” is the kind of record that many ELO fans never name as their favourite; like The Beatles’ “Sgt. Pepper”, it’s the kind of legendary album that is just so obviously good, people will automatically choose another title to champion as their personal pick. It almost goes without saying that it’s one of the best pieces of work Jeff Lynne has written, performed and produced, but I’m not going to just assume people know that and, for the record, would like to happily state that I believe “Out Of The Blue” to be a work of genius. You only have to scan the titles of the songs to recognise more than a handful of massively popular hits (“Turn To Stone”, “Sweet Talkin’ Woman”, “Mr. Blue Sky”, “Wild West Hero”), but, as this is a double album, you’d probably expect the vast majority of the album to be excellent if anyone declared it a work of genius, right? Well, “Out Of The Blue” meets all of these expectations in so many ways and, although there are a handful of tracks which perhaps fall short of greatness, the overall character of this work is one of overwhelming, remarkable prolific creativity. Indeed, although I believe “A New World Record” (1976) to be Jeff’s most flawless work, “Out Of The Blue” is his magnum opus, his greatest achievement. He made excellent albums before and after this one, but his one and only double album has a worthy place in history as his most commercially and critically successful. At the start of the album are two of the most radio-friendly hits, the shimmering, catchy “Turn To Stone” and the gloriously overblown “Sweet Talkin’ Woman”, with the grandiose piano ballad “It’s Over” (also a single, but not a very successful one) sandwiched in between. The dramatic Richard Tandy piano on it is breathtakingly beautiful and, such is the emotional nature of the track, the fact it shares its title with a Roy Orbison song doesn’t appear at all coincidental. With its driving tempo and energy-packed string section, “Across The Border” is an terrific rocker whereas the brilliant “Night In The City” has a trapped, intense feel to it, frenetic, edgy strings giving the track a wonderfully paranoid quality; both tracks could easily have been singles. The dreamy, lush “Starlight” evokes memories of those big American orchestral numbers from the thirties and forties (with a discernible ELO character, naturally) and “Jungle” is utterly charming, with an excellent percussion section and a ridiculously catchy hook. It’s wonderfully silly, of course, but so much detail has been packed into four minutes, it’s almost impossible to not love it. Jeff’s love of dramatic, big, emotional music is evident on “Believe Me Now”, a reverb-drenched mostly instrumental track which serves as in introduction to “Steppin’ Out”, one of the greatest moments on “Out Of The Blue”, being one of Lynne’s heart-wrenching tear-jerkers, a remarkably beautiful composition full of both sadness and hope, masterfully augmented by Louis Clark’s magnificent string arrangements. Arguably, the most artistically ambitious moment of the album comes on what was side three of the original vinyl double album, the “Concerto For A Rainy Day”, four songs that run together consecutively, starting with the adrenaline fuelled “Standin’ In The Rain” and culminating in perhaps ELO’s most loved song, “Mr. Blue Sky”. Inspired by Jeff writing music in a Swiss chalet and being interrupted by torrential rain beating on the door, it’s actually difficult to hear this sequence of four songs without becoming rather awestruck at the sheer genius and accomplishment of Lynne’s compositional ability. “Big Wheels”, for example, the second song in this concerto, is one of the most magnificent pieces of music on the album, arguably of of Jeff Lynne’s greatest songs, and yet a casual listener owning only a greatest hits would never have heard it. The exuberant “Summer and Lightning” is no weak link either, with the breezy, summery melody drifting over blissful harmonies and sublime strings. What can be said about “Mr. Blue Sky” to do it justice? 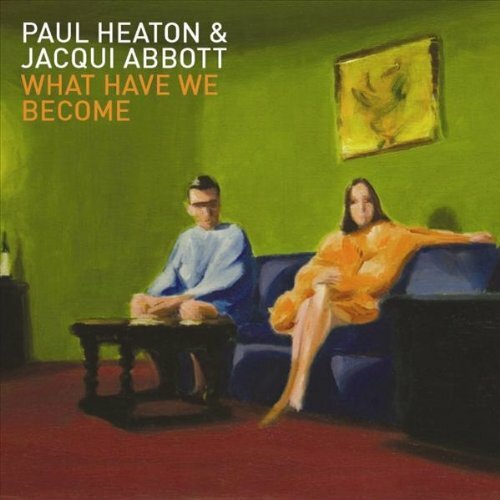 This irrepressible five minutes of wistful, sentimental, optimistic loveliness bounces along and makes the listener feel, for just a short while, that everything is right with the world. The chorus, the orchestra, the superb performance by Bev Bevan, adding little flourishes on ride cymbal… are there many moments in popular music more perfect than this one? It would be perfectly understandable if any track following “Mr. Blue Sky” on an album felt flat by comparison, but it is to Lynne’s credit that the airy, romantic “Sweet Is The Night” is anything but and the close-knit backing vocals as well as Kelly Groucutt’s crystal-clear lines all result in a swooning, caressing jewel of a song. “The Whale” is a pleasant, listenable, expansive instrumental, but it and “Birmingham Blues”, a likeable song about being on the road and missing home, both suffer from being on an album with so many better compositions and, so, give the double album the impression of tiring a little towards the end. Thankfully, the last track, the magical “Wild West Hero”, conjuring up childhood memories of watching westerns and dreaming of being the courageous, capable lead in such fantastical tales, finishes the album with a last piece of Jeff Lynne genius, featuring a superb vocal performance from the man himself and a dizzying honky-tonk piano solo from Tandy. Although “Out Of The Blue”, complete with its iconic artwork, isn’t exactly perfect (some may disagree), it hit creative heights that Lynne had yet to reach before and, arguably, has never managed to repeat since. If you were asked to be completely objective and ruthless, you could trim down the album a bit and remove the slightly novelty aspects (“Jungle” and “Birmingham Blues”) and perhaps even decide that the track listing would have an altogether greater impact without “Starlight” and “The Whale”. However, it wouldn’t surprise me if the majority of ELO fans would be horrified at such a suggestion; the supposedly lesser songs on “Out Of The Blue” are every bit as much a part of the charm of the album as the big pop songs and ballads. They provide character, texture and variety and even a little bit of comic relief to a piece of work dominated by grandiose strings and big, beautiful ballads. However, the price paid for this texture is that other albums in the Electric Light Orchestra catalogue have the appearance of being trimmer, punchier and perhaps even easier to listen to as a whole. That is the risk of double albums, of course. Even The Beatles’ “White Album” provokes discussion by fans as to whether it would have been better off as a single disc. Needless to say, I believe “Out Of The Blue” to be perfectly imperfect, very much like the Fab Four’s sprawling double album, but when you consider that the songs on The Electric Light Orchestra’s 1977 album were written by just one person, the bearded bard of Birmingham, it makes Jeff’s accomplishment here that much more impressive. 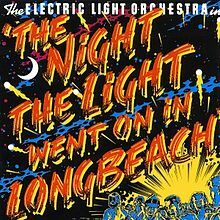 For years, “The Night The Light Went On (In Long Beach)” was the only officially released live album available from The Electric Light Orchestra. Naturally, like any other popular band, there were (and still are) unofficial albums and bootlegs available, but, rather strangely, despite a hugely successful concert captured on film and subsequently released on video (“Live At Wembley 1978”), Jeff shied away from any further live releases. This gig, recorded in Long Beach, California, USA on 12th May, 1974 (not long after the band had started to record their fourth studio album, “Eldorado”), received an initial, limited release at the time in Germany and a few other countries, but the poor sound, which came from an unfinished rough mix being used on the master, meant that a wider release was shelved for a number of years. It was only in 1985 when Epic were looking at re-releasing the long-deleted album on vinyl and cassette did they discover and use the originally intended mix and a version worthy of the original performance finally saw the light of day. Subsequently, when it was remastered for CD for a 1998 release, ELO fans were finally able to own a great-sounding digital representation of that electrifying night in Long Beach. The re-issues also saw a more professional looking, brighter cover replacing a rather ugly design which wouldn’t have seemed out of place advertising a horror B-movie. The original Long Beach gig showcased ELO’s third studio album, “On The Third Day”, but the concert was heavily edited for the live record. Whether this was done for running time, sound quality, technical or performance issues really isn’t clear, but, with the exception of “Dreaming Of 4000”, their entire third album was played that evening and, sadly, many of those live versions are missing from “The Night The Light Went On”. However, I think it is important to concentrate on what is on the record, rather than what isn’t. Long Beach is the sound of a young, creative, energised band playing completely live (without the backing tapes which became a controversial feature of their gigs in the late seventies), having fun with arrangements, incorporating their classical leanings and coming across as the kind of flamboyant ELO it would have been an absolute pleasure to catch live. The lively prog-rock instrumental, “Daybreaker”, opens the show, followed by their, then, recent hit single, “Showdown” which ends up melding into a long improvised instrumental. A storming sub-seven minute version of The Beatles’ “Daytripper” sees Lynne finally complete the “prick teaser” lyric The Beatles only hinted at. “Long Beach” boasts a lively rendition of début single “10538 Overture” which also sees a cameo of the distinctive chord riff from The Move’s “Do Ya” (at that point still yet to be re-recorded by The Electric Light Orchestra) incorporated into the ending. Mik gets to take the spotlight for a couple of minutes, performing “Mik’s Solo/Orange Blossom Special”, a fiddle hoe-down with which the rest of the band enthusiastically join in, before a full band performance of Grieg’s “In The Hall Of The Mountain King” which, bizarrely, turns into Jerry Lee Lewis’ “Great Balls Of Fire”. The finale of the show is “Roll Over Beethoven” and it’s a rip-roaring rendition, with a blistering solo by Lynne on guitar. The band sound completely on form during this whole (albeing edited) performance. Richard Tandy’s piano and keyboard work, including his Handel and Mozart classical interludes in “Daytripper”, makes him one of the stars of the show, Bev Bevan’s powerful drumming and de Alberquerque’s unfussy bass-work are the formidable backbone of the band and Jeff Lynne proves himself to not only be a thoroughly convincing frontman, but a superb lead guitarist. The string section (Mik Kaminski, Mike Edwards and Hugh McDowell) sounds beautifully vibrant, with their amplified violin and cellos a very strong presence, fleshing out the live sound superbly. Despite not knowing exactly why the particular track listing was chosen, it is a little frustrating having live versions of “In The Hall Of The Mountain King” as well as Mik’s solo instead of some of the other songs which were performed on that night in Long Beach. As enjoyable as all of the tracks are, when you look at the original set list from the gig, there aren’t going to be many ELO fans who would choose such songs over live renditions of, for example, the four song opening suite from “On The Third Day” which were part of the show that evening, as well as “Ma Ma Ma Belle”, one of Lynne’s rawest rockers. There were documented recording problems as well as the aforementioned production errors, so perhaps good enough quality versions of other songs weren’t captured, but it would have been good to have this album re-released along with all of the other ELO titles in the early 21st Century, together with the missing material, warts and all. 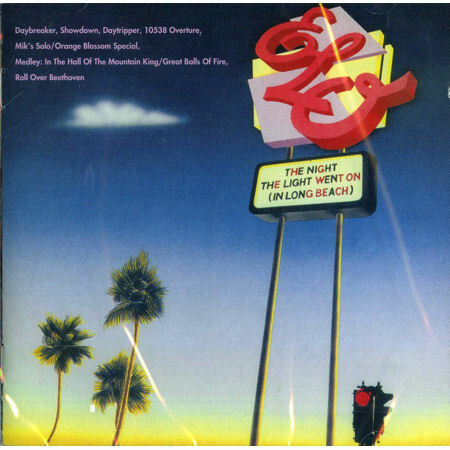 Ultimately, “The Night The Light Went On (In Long Beach)” is an excellent snapshot of The Electric Light Orchestra during a highly creative period of their career and a time during their history when they were still playfully mixing things up and mischievously tinkering with arrangements; quite a profound contrast to their more measured, orchestrated live character which revealed itself just a few years later. Whilst I have slight reservations regarding the choice of material that ended up on “Long Beach”, there is no denying just how enjoyable it is to listen to and will delight any ELO fan, especially those who enjoy the early era of the band. Posted on September 24, 2014	by A.D.S. 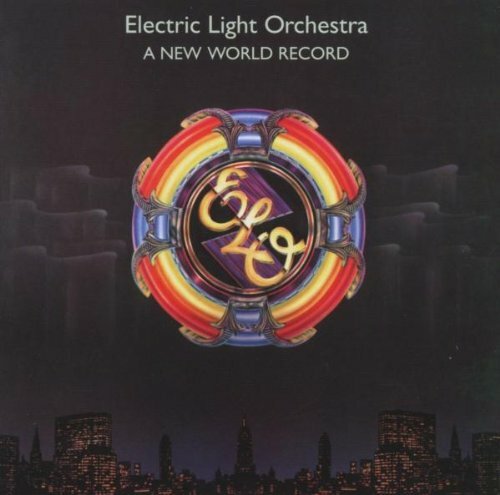 If I was forced to declare that any one release was Jeff Lynne’s masterpiece, it would probably be The Electric Light Orchestra’s sixth album, “A New World Record”. Although “Out Of The Blue” receives more critical accolades, this particular album is as near to perfect as can be, with every single track a fully accomplished piece of inspired craft. 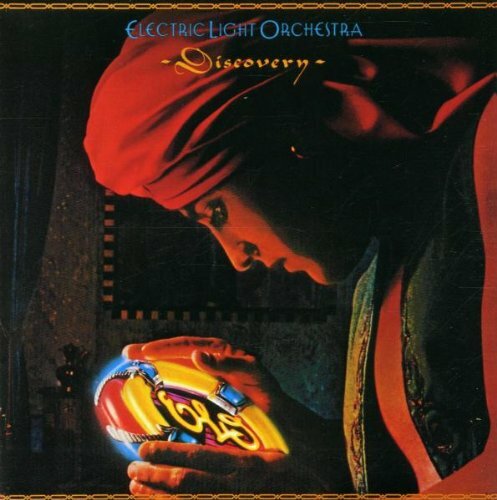 From a personal perspective, this was also the first ELO studio album I bought when I was in my mid-teens, once I decided to venture past the couple of “greatest hits” compilations I owned, so it also has a rather special, sentimental quality. “A New World Record” (a title suggested by Richard Tandy, as the album was being recorded in Munich during the 1976 Olympics) is the beginning of an exceedingly prolific songwriting era for Jeff when nearly everything he composed during this time became classic ELO songs which remain well loved and played to this day. The classy “Tightrope” provides a superb introduction to the album, with the dramatic orchestral beginning giving way to a hook-laden, bright, infectious pop song; it was never a single but probably should have been. The first huge hit of the album, “Telephone Line” begins with a Moog impersonating the tones of a ‘phone when dialling which then leads to an unanswered ringing and Jeff’s desolate, emotional vocals. As one of the band’s best known songs, this big ballad needs no further enthusing about it from me, but it really is one of those perfect moments in rock when a superb composition meets a brilliant performance and arrangement. The maddeningly catchy “Rockaria!” starts with the operatic voice of Mary Thomas (mistake and all) and explodes into a hard, orchestral rock song with strong classical influences, both lyrically and musically. The final moments of the track also builds to a beautifully intense finish to provide the icing on the cake of a flawless three minute pop-rock song. One of my very favourite compositions on “A New World Record” is “Mission (A World Record)” which relates the perspective of an alien observing life on Earth. It is a sublimely dreamy, drifting, lightly philosophical song, complete with some funky bass-work from Groucutt and has the most wonderful Louis Clark string arrangements. Side two of the original vinyl would have begun with the breezy, upbeat “So Fine”, an infectious track with a Latin edge which then segues effortlessly into one of the Electric Light Orchestra’s biggest selling and most loved hits, “Livin’ Thing”, three-and-a-half minutes of pure pop genius, resplendent with magical, soaring vocals, flamboyant violin arpeggios and a chorus that will refuse to leave your head long after you’ve finished listening to the song. As a lesser-known track and overshadowed by the bigger compositions, “Under The Clouds” is rather gentle underrated and beautiful piece and is just over two minutes of sheer loveliness. Jeff’s decision to re-record The Move’s “Do Ya” (one of his own songs) is utterly vindicated by ELO’s brilliantly overblown version and the string arrangements, as well as a more melodic vocal line, give the already excellent rocker a few extra dimensions. Perhaps the most precious jewel in the crown of “A New World Record” is the final track, “Shangri-la”. A soul-melting Jeff Lynne vocal guides us through this account of heartbreak and jaded, faded love, with the dramatic, emotional orchestral false ending adding just an extra touch of genius to an already magnificent song. As ever, Jeff’s love of that rather popular sixties group from Liverpool leads to another lyrical reference (“My Shangri-la has gone away, faded like The Beatles on ‘Hey Jude’”) which, to me, is a superb line, but I can grudgingly understand if others find it clumsy. Simply put, “Shangri-la” is a perfect end to a flawless album and this is why I consider ELO’s 1976 album to be their masterpiece, because there isn’t a weak track to be found here, there are nine excellent tracks, some of which are amongst the most remarkable rock/pop songs ever written. “Out Of The Blue”, Jeff’s next album, was to be even more ambitious, but, as a double album, it simply doesn’t have the punch of “A New World Record” and the quality on the record most people consider to be Lynne’s magnum opus is spread out a little further than this intoxicating serving of Lynne’s unique brand of orchestral-fused rock. The 2006 remaster of the album sees a rather generous six bonus tracks added to this title, the most interesting of which is “Surrender”, an out-take which was originally written for an unspecified film which never came to fruition. Lynne finished the track especially for the re-release of “A New World Record” and it proves to be a likeable, minor key toe-tapper but certainly not anywhere near the same kind of quality found on the nine songs which make up “A New World Record”. An alternative vocal take of “Telephone Line” which is interesting but inferior to the version chosen to be released as well as instrumental takes of “Tightrope”, “Above The Clouds”, “So Fine” and, again, “Telephone Line” give a worthy insight into the excellent Louis Clark arrangements which gave the songs that distinctive ELO character, but they are more musical curios than truly essential material.